If you’re blonde, you may know that perfect blonde hair shades can benefit from a purple shampoo. 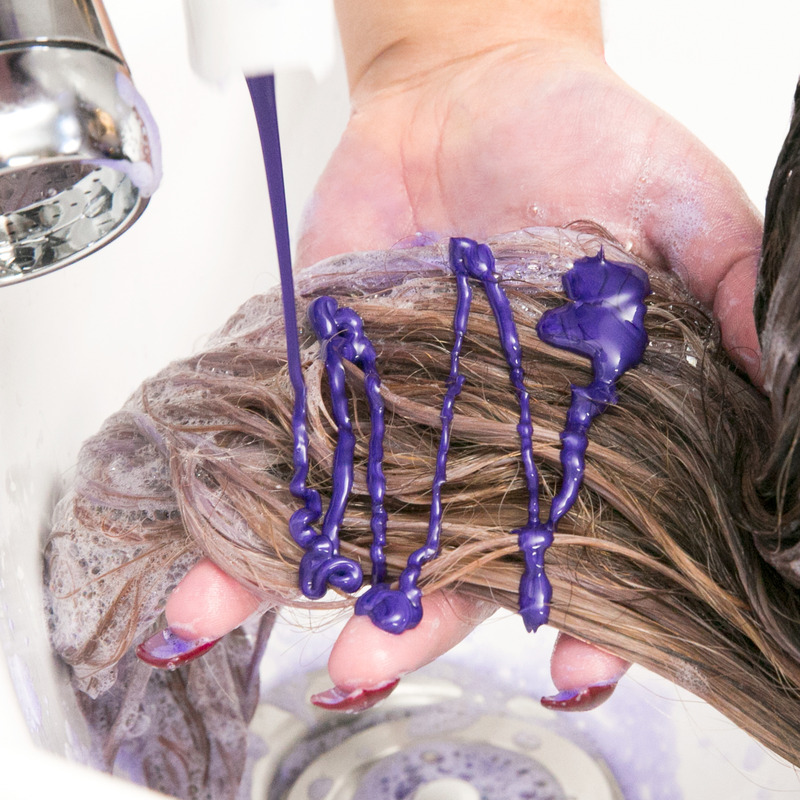 Purple shampoo helps keep the colour as fresh as when you left the salon. And it is a necessity for blondes to use between hair colouring sessions as it helps to keep your blonde that salon-beautiful colour. So What is Purple Shampoo? Purple shampoo contains purple pigments to neutralise yellowy undertones. It’s essentially an at-home toner that helps you to beat those brassy notes and it’s essential for keeping hair shining brightly. When you have coloured blonde hair you can benefit from a purple shampoo due to the way your hair is lightened. During the service, your colourist will enrich the blonde and eliminate undesired yellow-orange or reddish tinges. Between salon services, those effects can fade. So having a purple shampoo at home makes perfect sense. Which Purple Shampoo Should I Use? Redken Colour Extend Blondage is the latest in blonde hair care. It is formulated with amino, citric and maleic acids and wheat protein. It neutralizes unwanted undertones and helps strengthen hair cuticles while battling brass and keeping blonde hair beautifully bright. L’Oréal Professionnel Serie Expert Shine Blonde Shampoo. This brightening shampoo will restore your colour clarity. Its violet micro pigments help neutralise unwanted brassy tones to leave your colour looking cooler and refreshed. Pureology Perfect 4 Platinum Shampoo is specifically designed with violet pigments for coloured or highlighted blonde hair. Infused with vegetable-derived protein and lemon extracts, this luxurious shampoo neutralises unwanted yellow tones and removes impurities for purified and shiny blonde hair. It contains 100% vegan ingredients, no sulphates and keeps your blonde, blonde between salon visits. Each purple shampoo will have its own ideal performance guidelines. So for the best results follow the instructions and beware of leaving them on for too long. And remember, maintaining your brilliant blonde hair colour doesn’t end with the shampoo. The matching conditioner can keep your blonde soft and silky. And as a weekly treatment, Redken Vinegar Rinse for Hair can keep your blonde looking it’s shiniest. Every time you buy a product or service at a Rodney Wayne salon and every time you shop at a Shampoo ‘n’ Things store you can earn Rodney Wayne Rewards*. They’re points that can go towards your hair services and haircare products. You’ll also get access to special offers and exclusive products. Visit your Rodney Wayne salon or shop at Rodney Wayne Shampoo ‘n’ Things now to give your hair the season’s best care.